On November 24, 1954 the Union Recreation Center opened. W.W. “Bill” Baker and wife Neva owned and operated the center. The facility provided both roller skating and bowling to their customers. 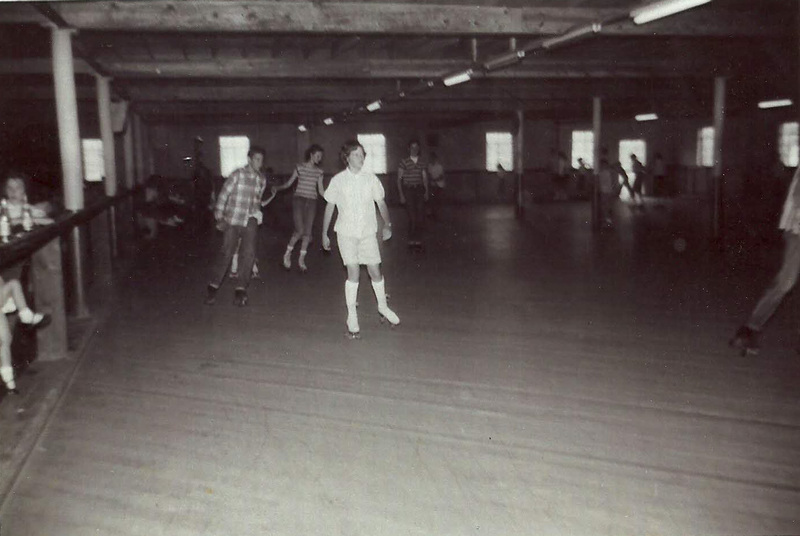 It was housed in a 90 by 120 foot, one story building with the skating rink measuring 60 by 120 feet. The hours of operation were Monday thru Saturday 7 P.M. to 10 P.M and Saturday afternoon 2 to 5 and was located ¼ mile east of Union adjacent to the American Legion building on the Diamond Hill road. The building was designed in two sections, one for skating, one for bowling, all in the same big room, with a walkway and banisters between. The skaters were provided music from a record player. Such songs as “Long Tall Sally” by ‘Little Richard’ were played. As many as 175 people could skate at one time. The bowling section consisted of 4 alleys, one of which was for duck pins. The tenpin alleys had mechanical pin setters that were loaded manually. The customers could obtain sandwiches and soft drinks as well. Besides the large crowds that skated and bowled, there were others who stood and watched. 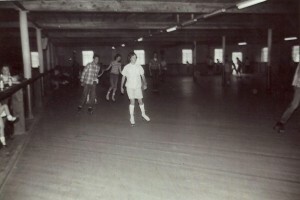 The center became somewhat of a community center for people to skate and bowl as well as socialize. Although the Union vicinity was the main customers, others came from throughout Monroe County, Greenbrier, Summers, Alleghany, and Giles counties. Special events were scheduled such as a pro wrestling event and a “Greased Pig” contest, although the greased pig contest was almost a failure because too much grease was put on the pig. 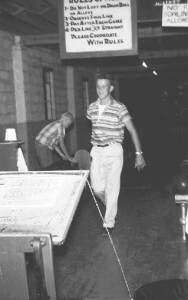 School and civic groups had skating and bowling parties. Ownership of the Union Recreation Center changed in 1959 and again in 1961. Finally, in 1968 the skating and bowling ended with the new occupants making the center an industrial site. Today, many who attended school in Union and surrounding areas have fond memories of their visits to the Union Recreation Center. This article will stay open to anyone who would like to send their memories or photos in reference to the Union Recreation Center. Respond to this email address uhswestvirginia@gmail.com and we will add your information to this page. 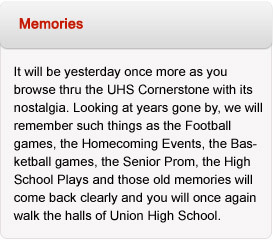 Share your memories and photos with everyone. Sue Reed Krueger: That was what I lived for- from week to week. My hair had to be just right and the skates had to be clean. The good old days for sure. Linda Elmore Cohernour: Some of the best times I had during my teenage years was going to the Skating Rink in Union and meeting with friends and skating to the 50′s rock and roll music. 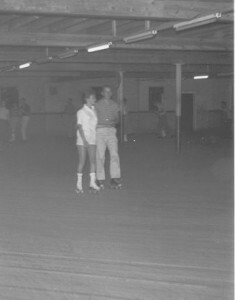 Before I could drive my parents would take us skating and they would bowl while my brother John and I skated. I have a lot of good memories from those years. Jack and Peggy Dillon Flouer: Peggy and I were regulars and, in addition to our spectacular “pairs” skating, I set pins (by hand) in the accompanying bowling alley. Julia Dillon Kanatzar: What fun on Saturday Night! I kept my skates for years and moved them from house to house! It was so special to have some place to go! I remember Gene and Kyle were always there. Pat Erskine McCollum: I made sure my skates and shoe laces were always in tip top shape. I know we never stopped skating much during the time frame, we just couldn’t get enough of skating. I talked often with my friend Vera Thompson and we are always saying… “Lets go skating!” Very fond memories of our time at the skating rink… even when we moved away, when we came home for the week-end we would go skating. Ralph E. Mann: I grew up with the Bakers and their brother Jim, who is deceased. Jim and I were classmates. 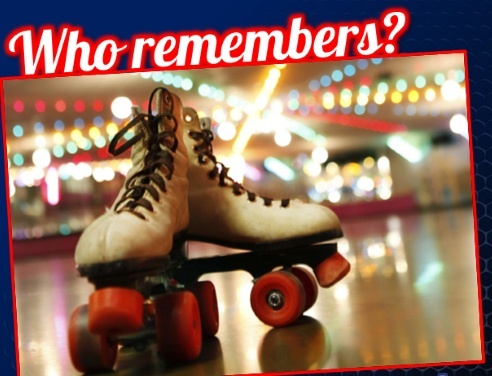 We all spent many hours at the “Skating Rink”, bowling and skating. Some of us worked in the bowling alleys setting pins the old fashioned way. One of the alleys was for “duck” pins which were smaller than regular pins and would fly every which way when hit by the ball. We left with many a bruise when we set pins!! When we weren’t setting pins, we were skating like there was no tomorrow. Everyone doing that “NASCAR left turn”. When there weren’t a lot of skaters or if we got there early, there was always the “whip”. A number of us, holding hands, would skate a lap around the rink until the inside person would grab the last pole and everyone would pull, shooting the outside person down the straight away toward the next “left turn” or the end of the building. Some of the guys/girls were good enough to stay on their skates and make the turn, but most of us found the rink floor or wall. This was the meeting place for many a Saturday night date as well as just meeting up with friends. BARRY WORRELL: I enjoyed the article on the Union Recreation Center, especially the part about the skating rink. We didn’t have a rink in Alderson and most of our skating was on the streets and of course an occasional trip to the Wolf Creek rink, which wasn’t too safe sometimes. But we did manage to get to Union at times and found it a much improved experience over Wolf Creek. Louie Wiekle: I went to the Union Rec. Center occasionally and it was great to have a place there in Union to hang out.